© 2018 Scratchu.com Carry On Jatta | Gippy Grewal, Mahie Gill, Gurpreet Ghuggi, Binnu Dhillon, Jaswinder Bhalla, Rana Ranbir, Khushboo Grewal, B.N. 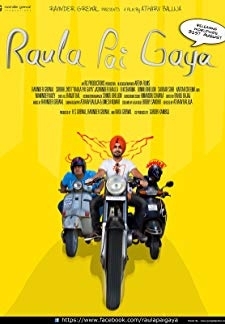 Sharma, Anshu Sawhney, Karamjit Anmol, Sardar Sohi, Harpal Singh Pali, Inderjit Nikku, Naresh Kathuria, Gulchoo - Carry On Jatta (2012) | Punjabi Movie | 8.3/10 | Synopsis : A young woman is considering marrying a man who has no family.... Watch Online!! !